The stock market has been quite volatile of late largely due to an ongoing trade war between United States and China, slowdown in the world's second largest economy, China, sanctions on Iran and fluctuating crude oil prices. Protecting investor wealth, in such a scenario, becomes challenging. A few financial institutions - the best in the business - went out of the way to ensure the financial health of investors remains intact to a large extent. The Business Today - Money Today (BT-MT) Financial Awards identified such institutions in mutual fund, insurance and pension fund categories. These three sectors have witnessed remarkable growth after liberalisation and are expected to clock double digit growth for many years. 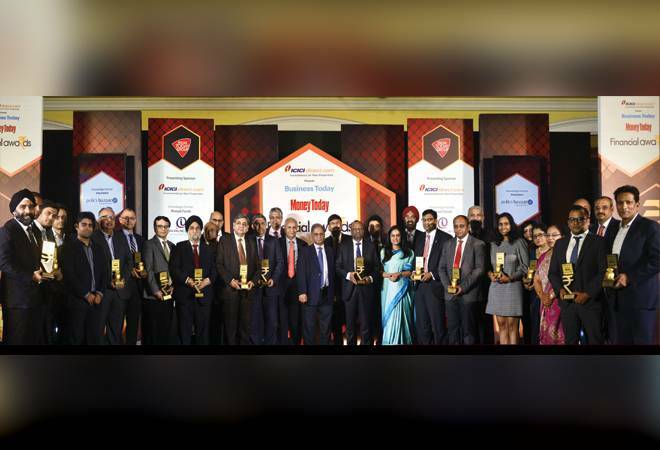 The sixth edition of the BT-MT Financial Awards featured 14 awards in total. ICRA Online was the knowledge partner for identifying the nominees in the mutual fund segment while Policybazaar helped us identify those in the insurance sector. Money Today used its in-house research to identify nominees in the pension fund segment. An eminent jury finalised the winners. M. V Nair, Chairman, CIBIL was the chairman of the jury. 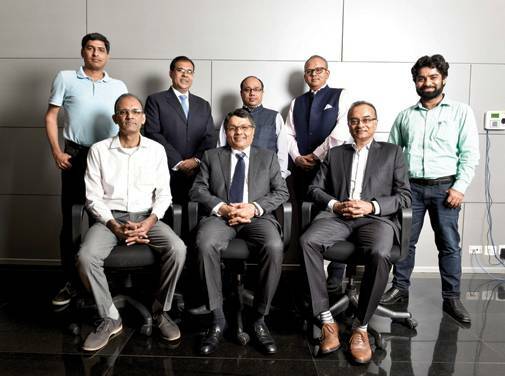 The other jury members included Joydeep K. Roy, Partner and Leader, Insurance and Allied Businesses, PwC India, Ashish Gumashta, CEO, Julius Baer Wealth Advisors India, Sanjay Sinha, Founder, Citrus Advisors and former CEO, L&T Mutual Fund and Suresh Sadagopan, CEO, Ladder7 Financial Planners. The jury went through the nominations under each category and picked the final winners after extensive deliberations. The winners were felicitated at a ceremony held in Mumbai on March 7. Anand Sinha, former Deputy Governor, Reserve Bank of India (RBI) was the Guest of Honour. He has been closely associated with the banking sector reforms in India. He has represented the RBI in various Committees/Groups of Bureau of Indian Standards (BIS) such as Basel Committee on Banking Supervision. Addressing the gathering, Sinha suggested the regulatory challenges come from the failure of corporate governance, lack of adequate risk management and prevalence of unethical practices. Prosenjit Datta, Editor, Business Today and Money Today, pointed out that last few years have been tough for India's money managers, and as a result, bankers and mutual fund/insurance managers have had to deal with all sorts of disruptions. He remarked that despite these challenges, the best emerged stronger every year. The awards ceremony was preceded by a panel discussion on How to Retire Rich with eminent panellists that included Sumit Shukla, CEO, HDFC Pension Management, Nimesh Shah, MD & CEO, ICICI Prudential AMC, Pankaj Kapoor, Founder & MD, Liases Foras, Pankaj Mathpal, MD, Optima Money Managers and Gayathri Parthasarathy, Partner & India Head (Financial Services), KPMG. The session was moderated by Anand Adhikari, Executive Editor, Business Today. During the discussion, experts emphasised the need to strike the right balance in investment into various assets such as equity, debt, gold and real estate for a rich retirement. Mutual Funds: The methodology for selecting the winners in the mutual fund category was developed in consultation with our knowledge partner ICRA Online. To identify the best ones, returns in equity and debt funds were given an overall weightage of 60 per cent while risk was given a weightage of 40 per cent. The return score was further divided into three subcategories called Periodic Return, Relative Return and Return Consistency with 20 per cent weightage for each. Period return was arrived at after taking into account one-year, three-year and five-year returns. Relative return was assessed by looking at the fund's performance during bull and bear phases; returns during both phases were given an equal weightage. For Return Consistency, we took the daily rolling annual returns over the past three years. In the Best Value Creator Fund Equity category, we focussed on diversified funds that do not concentrate in a particular sector or industry. To arrive at the best value creator equity fund, the open-ended diversified funds in the Large Cap, Mid Cap, Multi Cap, Small Cap, Large and Mid Cap, ELSS and Value-Oriented categories were considered. The risk score was calculated on the basis of downside standard deviation. The risk-free return taken for this purpose was 7 per cent. In the Best Value Creator Fund Debt category, we focussed on funds attractive to retail investors. The categories for debt funds considered were Credit Risk Fund, Medium Duration Fund, Short Duration Fund, Dynamic Bond and Corporate Bond Fund. The risk parameter was divided into two categories of volatility and credit risk with each having an overall weight of 20 per cent. Volatility score was calculated on the basis of standard deviation. Credit risk was assessed based on the credit quality of securities in the fund's portfolio. To select the best fund managers and best fund houses in equity and debt categories, we rated the funds based on their final scores. The equity category funds with scores above 90 were given a top rating of five while funds with score above 80 and below 90 got a rating of four. The debt category funds with scores above 95 were given a top rating of five while funds with score above 90 and below 95 got a rating of four. Fund Manager or Fund House with the highest number of four and five stars funds were chosen as the nominees. The nominees for the Best Fund House Overall were selected on the basis of the highest number of four and five stars both in Debt and Equity categories. Out of the nominations, the final winners were selected by the Jury. Insurance: A wide range of parameters was considered to select the winners in life and general insurance categories. These included customer service and satisfaction, size and scale, business growth, financial strength, and prudence and performance in terms of regulatory compliance. Policybazaar was our knowledge partner in the insurance category. Term Plan and Unit Linked Insurance Plan were our focus products. We selected the Best Term Insurance Provider based on claims ratio, new business, persistency, claim settlement turnaround time (average in each quarter), cost per lakh and product features. The three major areas include business growth, product strength and customer satisfaction. Under business growth, new business growth was included, which gauged how an insurer performed compared to its peers. Another important parameter was settlement turnaround time, or TAT, which tells us how efficient an insurer is in settling claims. Claims ratio was evaluated to underline how good or bad an insurer is with its underwriting. The cost-per-lakh parameter was considered to analyse how cost-effective the plans were. Several important features of a term plan such as benefit payout options, riders, coverage, premium paying term, policy term and in-built facilities enhance the product strength. The more feature-rich an insurance plan is, the more likely it is to meet the diverse requirements of various customers. To select the Best ULIP Policy of the Year, two core areas - product performance and product strength - were evaluated. The first-year-linked-premium criteria gave a clear insight into product performance compared to its competitors. To gauze the three-year fund performance, the performance of blue-chip funds were considered to have a uniform comparison of how investments in these products had performed over a three-year period. Pension Funds: To select the nominees for the Best Pension Fund Provider category, we considered both return and business growth. An equal weightage of 25 per cent was given to one-year return, three-year return, five-year return and latest annual AUM (asset under management) growth. The cutoff date for insurance data was March 31, 2018, while for Mutual Fund returns, it was December 31, 2018. For Pension Fund, the cutoff date was November 30, 2018.